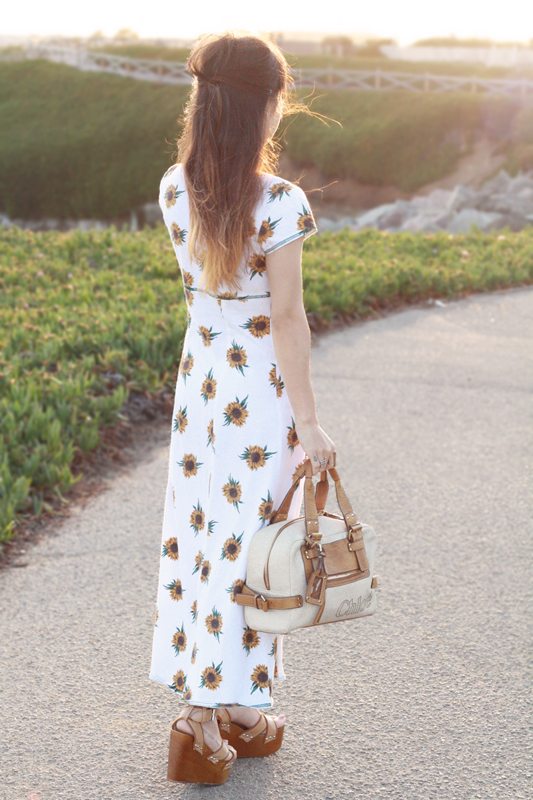 I have a slight obsession with sunflower print and just all kind of floral print in general. I have tons of vintage clothing in sunflower print from denim vest to high waisted shorts but haven't yet acquired a maxi dress until now! So I was super excited when Vintage ReBelle sent me this lovely piece! It is simply gorgeous and unforgettable. I paired it with some wooden platforms and mixed in some modern elements with my Chloé satchel and Lulu Frost matching Drift pendant and cuff. 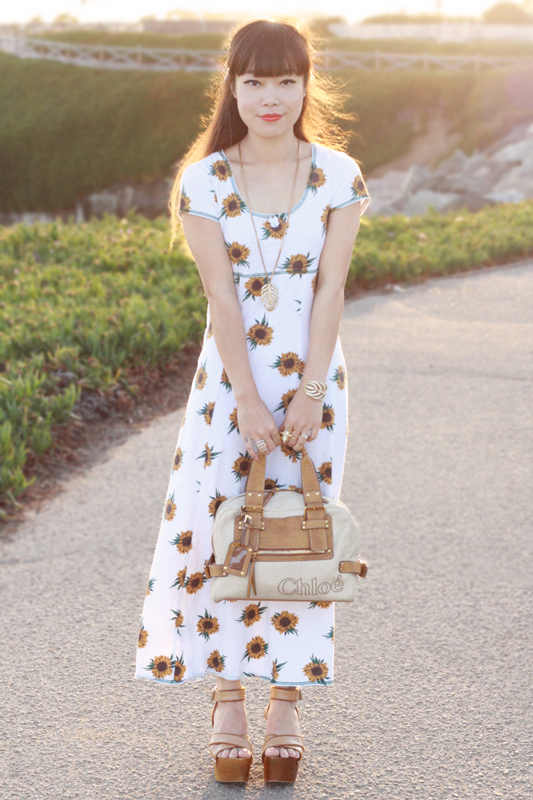 Vintage sunflower print maxi by All That Jazz c/o Vintage ReBelle. Drift pendant necklace by Lulu Frost. 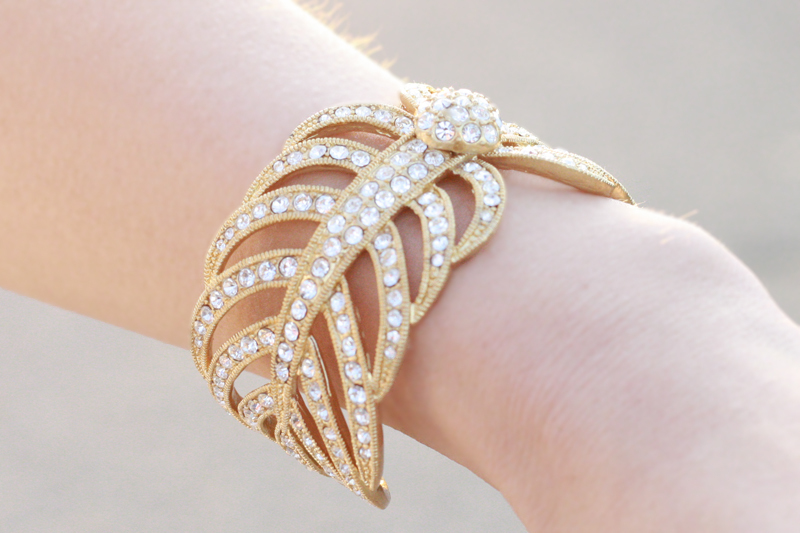 Drift cuff by Lulu Frost. 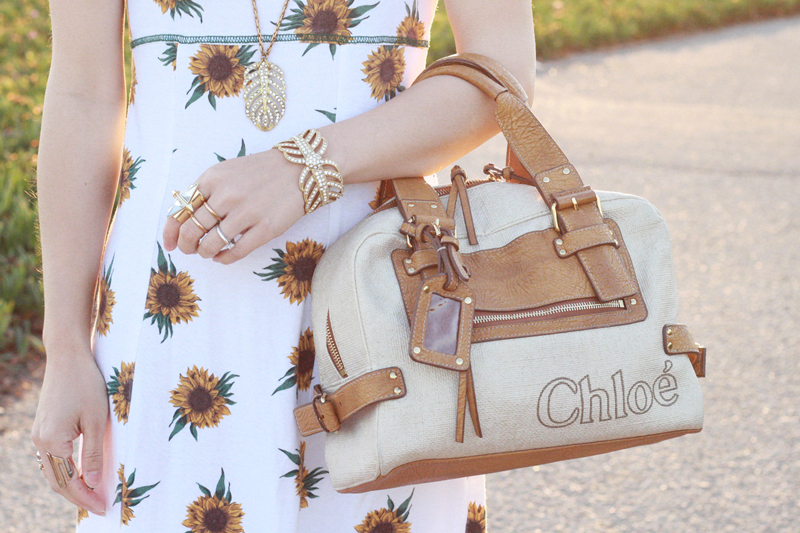 Two tone satchel by Chloé. Strappy wooden platforms from Hong Kong. That dress is just so amazing! I really love the length and the pattern - so pretty! Oh wow, the outfit is amazing! 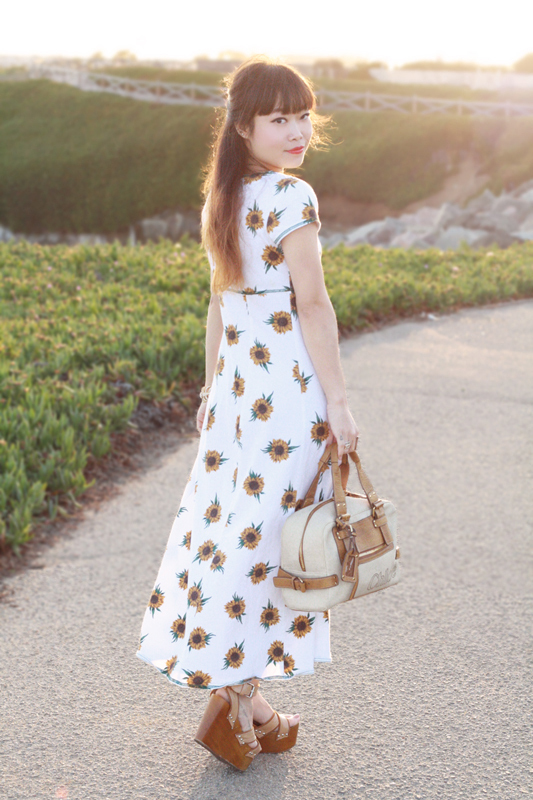 I so love those platforms :D Great light..so romantic..
Adore these photos, beautiful dress! jeysus christ, i'll never be able to get over that maxi dress. never. and i love how you paired it with the wedges- i LOVE this whole outfit!